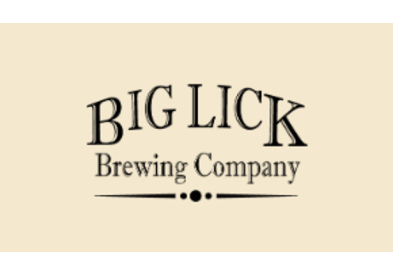 Big Lick Brewing Company is Downtown Roanoke’s premier brewery, beer garden and taproom specializing in craft beer with an emphasis on quality and variety, we have brewed over 190 distinct recipes since opening our doors in September 2014. Come and visit our tap room, grab a stool at the bar, find a table and sit with friends, or just stand at our massive tasting table. We also have the largest permanent beer garden in the region at over 6000 square feet. All of our beers are brewed on premises. Growlers and crowler can fills are also available to go. Be sure to check our website as the taps change weekly; and keep up with our events on Facebook. Live music weekly. Happy Hour every Thursday 4-7pm. Every evening we have food available from either Tucos Taqueria or Beamer's 25 restaurant and they will deliver to you on site. We also host special events including Trivia Night every other Thursday. Private Event space rental for parties up to 50 includes outdoor area and fire pit. Directions: Open Monday 4-9pm, Wednesday 4-9pm, Thursday 4-9pm, Friday 4-10pm, Saturday 1-10pm and Sunday Noon to 6pm. Follow I-81 to Exit 143 I-581 S to Exit 5 toward Downtown Roanoke from I-581 S/US-220 S. Merge onto Williamson Road, NE, turn right on to Salem Avenue. Brewery is .05 mi on the right before the light at the corner of Salem Avenue and 5th St.
Additional Information: Parking: Free parking is abundant around the brewery and taproom: Warehouse Row Parking Lot (Lot east of the building) – Free after 5pm weekdays and free all weekend. Street parking surrounding the building on Salem Avenue, 1 1/2 Street and Norfolk Avenue is free after 5pm, however a 2 hour limit during weekdays 8-5pm. DescriptionTaproom is available for private events Monday-Wednesday. Capacity 140. Separate event room space is available for up to 50. Includes access to outdoor area.